I recently shared my frustrations about the Nordstrom Anniversary Sale on my Insta-stories because you guys know I’m all about telling it like it is. If you follow any other bloggers, you will have probably read about this sale 25083729 times already. I know that I get sick of being bombarded with it, so I have a feeling that you might be too. I promised that although I would be posting about the sale, I would keep it to probably 2 posts total. Rather than sharing a multitude of posts, I thought it might be easier to continuously update as the sale is live. You may remember that I’ve shared some of my favorite Nordstrom sale picks from previous sales. I truly do love what they have to offer, and the anniversary sale is no exception. Many of the pieces sell out quick, but are often restocked throughout the sale. Today I am sharing some of my favorite pieces that are all under $100. I have a feeling I will be buying both pairs of cut out booties, as well as the Blank NYC moto jacket! 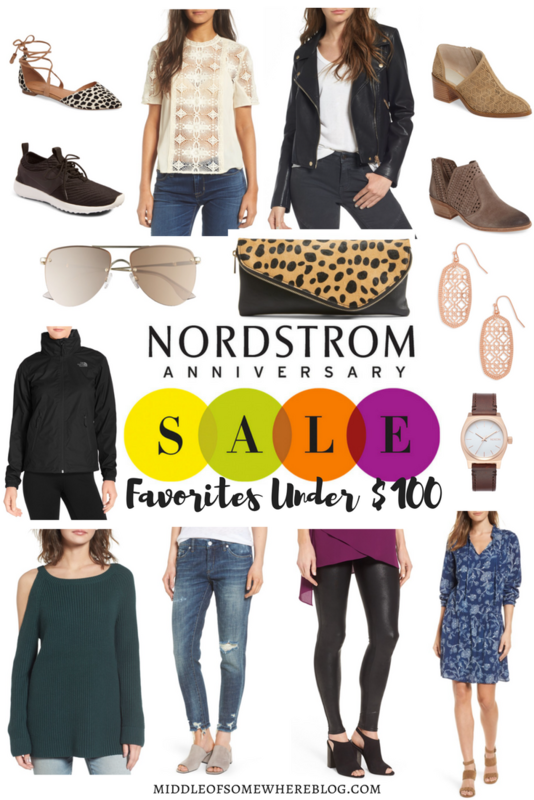 Be sure to head to the bottom of the post for your chance to win $500 to Nordstrom to shop the sale with!